According to DailyMailTV, talk show host 54-year-old Wendy Williams’ husband, 47-year-old Kevin Hunter will not leave 33-year-old Sharina Hudson his mistress of a decade because his wife pays the bills. Rumors have been going around that her husband’s affair has been the reason for her abuse of prescription drugs and alcohol. 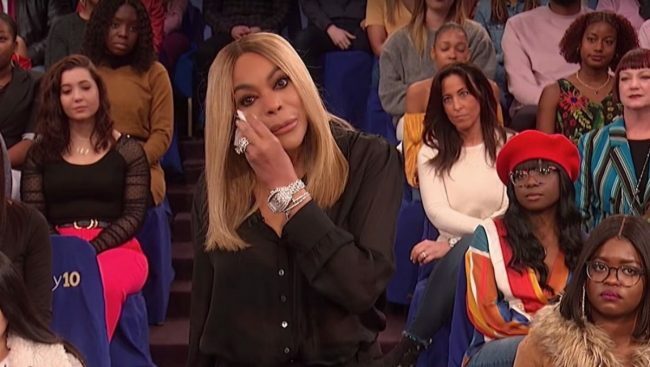 On March 19, 2019, Williams admitted on her talk show that she is presently residing in a sober living house. Sources told DailyMailTV that Hudson had given Hunter multiple ultimatums to leave Williams because she wants to marry him and start a family. Hunter who is also Williams’ manager and runs their production company has refused to leave his wife and continues to have relationships with both women. Sources say Hunter loves Hudson but cannot leave his wife because they need Williams money, not being able to care for themselves. Hudson lives in a Manhattan apartment Hunter pays for, and he also bought her a studio in midtown Manhattan for one of her businesses that he also pays for. Williams husband paid for his mistress to attend school for massage therapy and opened a small store in a North Carolina mall, where she came from. Even though Hunter helped pay for VISH, Hudson’s clothing and jewelry line, it was not successful. DailyMailTV obtained photos of Hunter and Hudson on vacation together in various intimate situations. On March 19 DailyMailTV reported Williams’ relapse happened in Dec. 2018 after she hired a private investigator to see if her husband continued to be cheating on her with Hudson. In December after Williams was informed her husband continued to have an affair, she confronted him. During that time, it is believed Williams fell and suffered a hairline fracture in her shoulder. Willams became depressed while recovering and began taking pills and started to drink heavily. The talk show host entered a rehab facility in Florida. Sources said when Hunter went to visit his wife, he took his mistress with him. She stayed in the hotel when he went to see his wife. The source also said when Hunter went on vacation with Williams, Hudson often went along and would stay at another hotel. Sources say Hunter controls Williams. She has no friends, he will not give her a phone, and she can not contact her family. It is alleged Williams is willing to tolerate Hudson as long as they will not have a child.